Deciding on a wedding venue is one of the most important decisions a couple will make about their special day - the food, facilities, decoration, ease of getting there...all have to be just right! 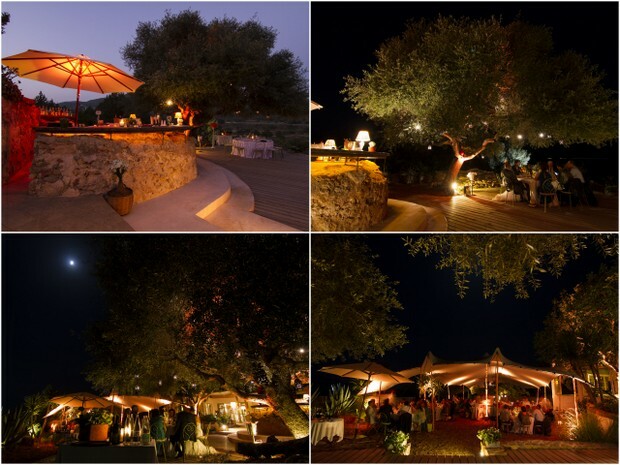 Can Domingo is one of our favourite choices for wedding parties in Ibiza because of its two ingredients for a successful wedding - its idyllic romantic garden setting in San Jose and the divine food created by well renowned Italian Chef Giuseppe Vivacqua, known to work with seasonal products including the organic vegetables grown in the Can Domingo garden. He also sources and imports some of the best produce from Italy including hams and cheeses from certain regions. Can Domingo recommend the traditional four course Italian menu for wedding parties - Antipasti, Primo, Secondo and Dessert - tastefully mixed together. The antipasto is a small and tasty appetizer, Primo is usually a pasta or rice dish (the pasta is mostly home-made) and Secondo is a fish or meat main course (vegetarian options are also available). Home-made flavoured breads, with ingredients including cocoa, red pepper and olives; focaccia and home-made grissini (bread sticks) are provided.